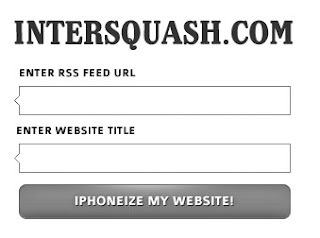 Intersquash.com is the place to go to make your blog instantly iPhone compatible. Simple enter your blog feed, the name of your blog and add an icon. A piece of code is generated for you to insert into the page's Html header and your page is instantly neatly viewable on the iPhone. intersquash demo from jon on Vimeo. Corporatocracy alive and well in SA?